When credit scoring first caught the public’s attention, credit score providers not only refused to inform borrowers how they rated within the system, additionally, they refused to share with exactly how the system itself operates. Today, that refusal still stands. Until Congress or state legislators force the topic, credit scoring remains a black box operation. Credit scorers place your credit data in their programs, out pops a number, nonetheless they won’t inform you how or why they calculated that figure. You’re left in the dark. Fortunately, although the credit scorers never have shined much light into their black boxes, mortgage loan reps and underwriters who see everyday results are setting out to develop some keen insights. In addition, while still cloaking their systems in secrecy, credit scorers have reluctantly released some clues that borrowers can puzzle. Indeed, at myfico.com, after you’ve paid your money, the website info gives you some pointers on the way to increase your Beacon-FICO score. To determine how much your score actually does improve (if any) over the next Twelve months, you must pay another forty or so dollars. For that price, you get four more Beacon-FICO reports. Turns out that turning up the lights just a little will prove to be an actual money maker for Equifax and Fair, Isaac. Millions of Americans now click on to myfico.com and pay to glimpse their credit destiny. I say glimpse considering that the info provided still doesn’t go nearly far enough. It’s much more like, implement this and (pay us) see what happens. You really can’t tell beforehand the exact score boost their suggested changes might bring on. Quantity of open credit accounts: You can have too few or too many. The optimum number probably ranges between four and six. One highly paid, credit-perfect (no lates) executive I know scored 630. After closing 6 of his 12 credit card accounts, his score went to 770, however it took six months before his score climbed up to that level. But, on the other hand I have 16 credit cards and a great score. I guess that’s why they keep the algorithm secret. Balances: Open accounts with balances lower your score much more than open accounts per se. Balance/limits: Numerous accounts with balances close to the limit brings down your score. This means do not max out your creditcard! Credit inquiries: Whenever someone checks your credit file, it counts against your score; however, multiple checks within, say two weeks mightn’t hurt as much as when it appears that you’re merely shopping different lenders for just one loan. Your personal inquiries don’t affect your score. Recency counts: Late payments 24 months ago don’t hurt as much as 2 months ago. Black marks: Multiple lates on a multiple accounts, collections, unpaid judgements, and tax liens devastate your score. These clues shed some light about the credit scoring process, but much too little. Perhaps above all, they display why perfect credit in the sense of no late payments do not really generate a very high FICO score. To increase your score, you mustn’t only pay your bills on time nevertheless , you ought to manage your credit using the preferences of the FICO (or other) credit scoring program. What techniques did you use to enhance your credit score? Credit Scores are such a black hole system, you never know what is going on. This post helps clarify a lot of things, somethings however,like not having many accounts, is simply not possible to follow for me. Yes it is true that millions of Americans now pay to glimpse their credit destiny on myfico.com . This manages all your credit accounts, balances, limits, credit inquiries and payment records etc. It also implies that some categories weigh more heavily than others like-: 35% on payment history and 10-10 percent on both on new credit and types of credit used. Valuable information(easy to understand newbie like me).i found these article sites are greatly useful for me in my project work. i just bookmarked it in my system. thanks for your wonderful post . Most lenders have carved-in-stone rules about handing out the best terms, and those rules almost always place a major emphasis on your credit score. I know some important factors of Credit Score as I am going to take my first credit card shortly.But from this article I got more information like Quantity of open credit accounts, payment record and so others that are really helpful for the newbies like me.Hope to get more relevant posts on a regular basis!Thanks for sharing it. I guess that majority of ordinary people start looking for help with their credit score when they hit the wall. These kind of advices they should look before that happens. I always found the credit scoring process incredibly confusing, but this post sheds a little bit of light on it. Hopefully the clues from MyFico can lead us in the right direction so it isn't such a crapshoot all the time. It still does look like no matter what, payment history and open balances still count for quite a bit. I always found the credit scoring process incredibly confusing, i am really very impress about this post. Pie chart show your payment history.easily we can see percentage of our payment history. It’s very important to note these are all for Fico scores, Late payment decrease you scroor. Fico scores are like the same scores a potential lender sees.Do you actually have to request a loan for it to happen? When I had credit issues I got myself a secured credit card. 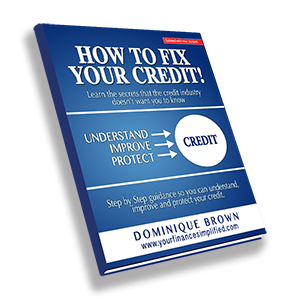 It helped me prove that I could be responsible with credit. It really didn't take long to get offers from other companies which was great. I also made sure to use 30% or less of the credit I was given. Companies don't like it when you use all of your credit all of the time. Very smart on getting the secured credit card. How long did it take you to get offers for unsecured credit cards? I got more information like Quantity of open credit accounts but I think that majority of ordinary people start looking for help with their credit score when they lost lots of credits.In your post, Pie chart show your payment history that would be helpful for investor percentage of our payment history. This is very helpful information to know about credit card sores for the newbies and also to know about types of credit card. I would like to read more article on you. Nice to learn more about the credit black box! I always pay my bill on time and don't carry balances on my credit cards. Didn't know the optimal number of credit accounts is 4 to 6. Thanks for the knowledge! Thank you for the comment. Paying your bill on time is ideal to maintaining good credit. From this article I got more information like Quantity of open credit accounts, payment record and so others that are really helpful for the newbies like me.Credit Scores are such a black hole system, you never know what is going on. This post helps clarify a lot of things, somethings however,like not having many accounts, is simply not possible to follow for me.Paying your bill on time is ideal to maintaining good credit. I actually looking for sites that gives tips and sharing their knowledge to the readers, viewers and followers. They are helping. Thus, improving my credit score is hard to accoplish but because of this post, it increases. Valuable information(easy to understand newbie like me).i found these article sites are greatly useful for me in my project work. Nice blog. Debtors would definitely love to read this because they could learn something from this. And for sure, this could help them on their credit issue. Thanks! Feel free to share this post with anyone you feel that would benefit from it. Are there any tips you would add? I was looking around and stumble on this. Kind of love the threads starting to build up. So, I wonder what’s on this blog. Such a nice piece. There’s a lot of great bits I was able to get and apply from this blog. keep it up! I recently checked my Equifax credit report and discovered that my mortagage of 19 years is not reported.. I contacted my mortagage company and was informed that they choose not to report to credit reporting agency to protect consumer information. My question is how does this affect my FICO credit score, does it hurt my score? It’s 23 pts shy of 700 range. Thanks! I think it hurts you because you have 19 years of timely payments not being reported. Ask them to report it.